​Graphic design for the Winter Music Festival. In 2017 I added my artwork to their logo and made the designs for business cards, posters, advertisements, buttons, t-shirts, etc.. In 2018 I designed the new logo and did the artwork used for all promotional materials. 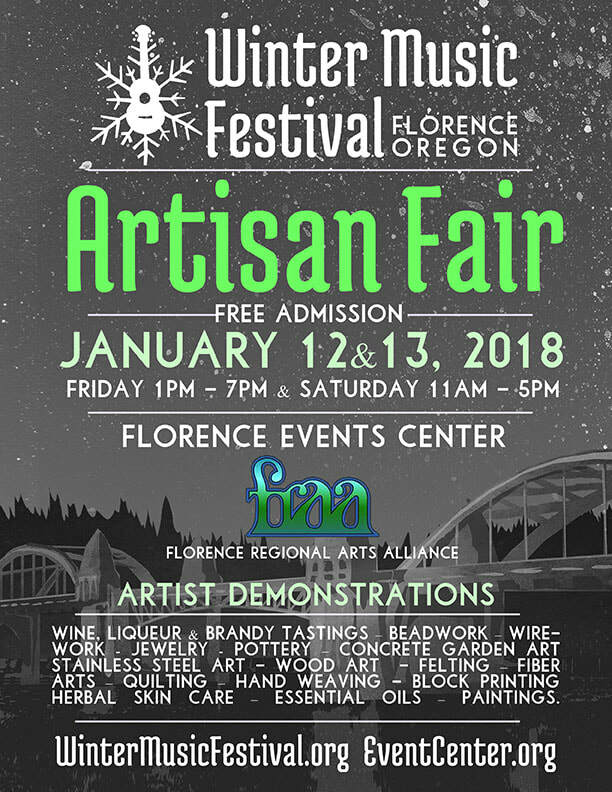 I was selected as one of 20 artists to paint a sea lion for this event in Florence, Oregon. The title of my piece is "Butterflies." She will soon be displayed at the Wellness Center in Florence, Oregon. Butterflies at her first home, Driftwood Shores in Florence, Oregon. For the Florence Events Center, I edited videos taken by the staff and made a music video to promote their volunteers. I was hired to fabricate a giant hand needed for a float in Florence's annual Rhododendron Festival Parade. This float was for the Backpacks for Kids program, and won the Mayor's Award. My hand being used on the float.